Josué Avalos from Mexico, who is making music in Mexico and Europe since many years, and Aline Novaro from Argentina, who was working in Brasil in a alternative education school, they have met 2 years ago in Germany and ever since their music is growing together all over the American and European continent. Riosentí is a nomad musical project with latin american roots. 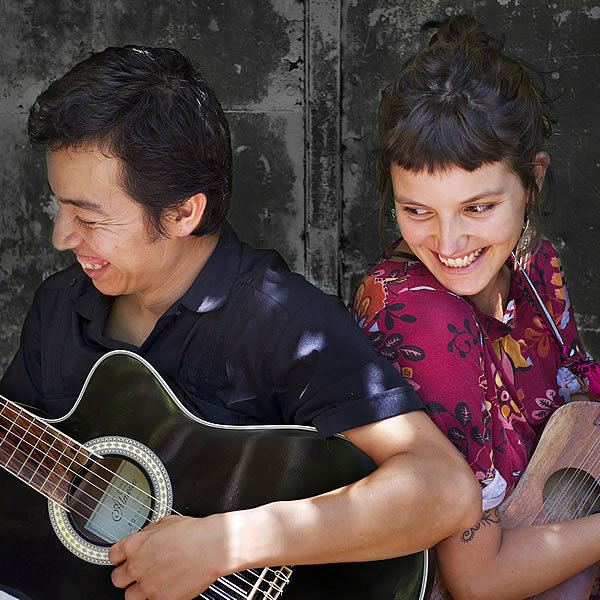 Josue Avalos from Mexico and Aline Novaro from Argentina make songs and sones inspired in the tradition of the southeast part of Mexico accompanied with guitar and jarana. From the feeling and the proper experience the Riosenti music rise… experimentation, fusion and roots. Riosentí es un proyecto musical nómada con raíz latinoamericana. Josué Avalos de México y Aline Novaro de Argentina crean canciones y enérgicos Sones inspirados en la tradición del sureste de México acompañandose de guitarra y Jarana. Desde el sentir y la experiencia propia nace la música de Riosentí… experimentación, fusión y raíces.